JERUSALEM – Fatah celebrated the anniversary of its founding with a procession in Ramallah last week in which masked men sang a chant calling for its members to “blow up” Israelis. The parade marked the 54th anniversary of the “Intilaqa” — the “launch” of Fatah — which is marked on the anniversary of its first attempted terror attack against Israel on January 1, 1965 with its planned assault on Israel’s national water carrier. The same chant was sung by members of Fatah’s youth movement at Bir Zeit University in 2017, PMW reported. 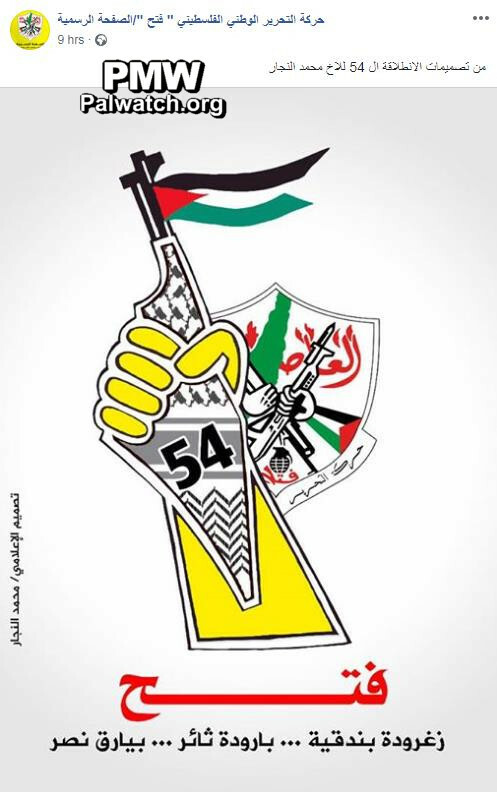 Fatah also marked its anniversary by posting images of rifles, grenades, armed men and Palestinian teenagers carrying assault rifles on its official Facebook page.